5 Acres & A Dream: Earning Their Keep. When Are They? When Aren't They? Earning Their Keep. When Are They? When Aren't They? My goat plan for the year was to keep my two Nubians in milk until my Kinders kidded. Having been milkless in the past, I hope that by not breeding one or two of my does each year but milking them through, I'd benefit both the goats and us. They'll get a break from the stresses of pregnancy and kidding, and I'll have year around milk. I don't actually need a lot, especially if I'm not in a cheese making mode, but I want enough to keep my kefir alive and to help feed the pigs. From what I've read, some goats are better suited than others for milking through. Every now and then I read about a doe who's still producing a quart or more per day after two years of kidding. That's more the exception than the rule, but that kind of producer is nice to have around. It finally got to a point were Lily and Surprise together were giving a little more than a pint per day, but eating just as much as always. With my first due Kinder date coming up, it was time to make a decision. Each Nubian eats almost twice the amount that each Kinder eats. Even though I'm not one to usually rate things on a money scale (see "Contemplations on Value & Money") the question of when they are no longer earning their keep, nonetheless, came to mind, especially since I'd already decided to sell them. To some that may sound somewhat heartless, to get rid of animals when they no longer produce enough to make them "worth" it. That may make sense for a hobby homesteader, but for those of us working toward sustainability, it misses the point. 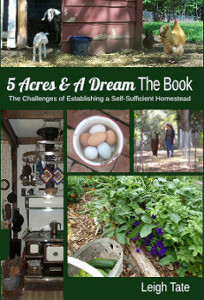 The very definition of sustainability on a homestead requires balance. Any scenario where input exceeds output, or output exceeds supply, is not sustainable. Eventually, one thing gives up or the other runs out. Small scale sustainability requires tough decisions. If I had the land and resources, I could happily allow all my animals to retire and live out their lives in comfort and ease. Having small acreage means we must carefully steward and protect our land from overuse. I would love to keep 20 goats, but must be realistic. I'm hoping I can manage 4 to 6 does over winter and 2 or 3 bucks. That includes pasture and forage plus areas for growing hay and feedstuffs. It also means I must sell or trade animals still in their prime so as to have value to the person taking them. Long story short, Lily and Surprise have gone to a new home with someone who is thrilled to have them. I priced them in hopes they'd go together, i.e. $50 discount for buying both. I've learned that critters which are bought or sold with a companion have a much easier transition with less stress on everyone. They went to a 41 acre farm with other critters including other goats, plus animal-loving 4-H kids. The only one who's not to happy about the whole thing is Bunny. For some reason Surprise and Lily tolerated her, while the Kinders girls don't. But that's just life in the animal world and I know adjustments will eventually be made. I found toggenburgs and saanens were great at running through, nubians less so. It is important to sell stock on when surplus to your plan/requirements. That ensures that we can afford to keep those animals we have to a high standard and that over-grazing with associated worm burdens etc is avoided. Those are tough decisions, but they are important to running a successful/profitable/sustainable farm. I haven't wrote about it on the blog yet (have a rough draft), but the amount of people in my real life who get so upset when I tell them that not all of the goats will be able to stay on the farm is amazing. Even explaining until I am exhausted, many still do not understand and believe that we are a petting zoo/farm. Our goal, similar to yours, is sustainability, but also profitability and with a herd of meat goats, some will have to go. A great example of what kind of decisions farmers have to make all year long. Some are easy, many are tough, but they have to be made especially if you want to ensure the future of your farm. So glad you were able to find them a good home. It's so easy to be lulled into NOT making those essential decisions regarding letting go of what doesn't work or keeping only animals that truly fit into your plan. I suspect that's been the downfall of many homesteaders who are into sustainability . . . but aren't succeeding. Gill, that confirms what I've heard about Nubians, i.e. that they aren't the best milk producers in the goat world. But they sure are popular! I didn't mention elderly animals in this post, because neither Lily nor Surprise were that. But, I've realized that if I don't want to have to care for old animals who are no longer productive but may have increased health problems (not to mention having to bury a body), then I'll need to sell the goats at least while they are still productive. Tuesday, that's why I keep writing about this topic. There is a huge disconnect between the urban mindset and agrarian reality. Folks who've only seen animals as pets, in the zoo, or as storybook or cartoon characters have no experiential knowledge of the natural world. That seems to include the purpose of animals. Pets do have a purpose and do give comfort and emotional support, but all animals are not pets. Hang in there, others of us understand and support you! Ed, it's too bad the understanding of that has been lost in the modern world. Rosalyn, I've been meaning to tell you that I've had trouble signing up for Disqus, hence my lack of comments on your blog. I'm reading, however! Gruffy passed away last January (natural death, old age) so now we're down to Kinders only! For your goals, NDs, Kinders, or Mini-Nubians would suit very well. You probably already know this, but the Mini-Nubians are a cross between Nubians and Nigerian Dwarfs. Kinders are a cross between Nubians and Pygmys. I don't know about the milk yield of the Mini-Nubians, but my Nigerians never did give much milk. Kinders, OTOH, are reputed to give just as much as Nubians, so that's something to consider. Mama Pea, excellent points. I tend to be "out of sight, out of mind" as well. It doesn't make sense to worry about it once the deed is done, does it? I think you're also right about the culling process. It's sometimes hard to admit that an animal doesn't fit the homestead plan, especially if the it has a great personality. I finally realized that loyalty and responsibility are not the same thing. That helped. I still don't think we've achieved balance, there is always a new factor to account for. But hopefully we're on the way. The hardest part of freedom to choose is actually deciding what we want. My choices here are shaped by the fact that hay here can be in REALLY short supply when we have a long, angry winter. People here grow lawns, not hay. I am limiting myself to the animals I have at this time. Our family decision is not to stay here long term, so I need to just keep to the short term goals. We are crafting a beautiful place to sell in ten years. The animals I currently have will be essential to that plan, but breeding is not. There are always more goats and sheep out there. I simply don't need to have breeders. I thought I did, but things change. 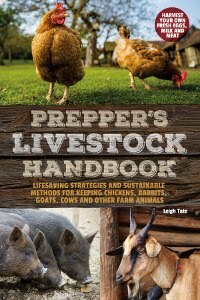 We as farming homesteaders always need to be prepared for change. It will be interesting to see if Bunny makes a Kinder look or if her progeny look different because the recipe was reversed. Can't wait to see! I had two nubians who were supposed to eat the meadow down, but ate my house instead. I had to find them a new home, but I was careful to make sure the guy who took them was "legitimate" and wasn't going to sell them to the Mexicans. In Hall county they had to pass an ordnance against slaughtering live stock on your front porch and hanging the carcass to bleed out from the porch rafters. So my goats went to a pasture with some other animals and the old guy took good care of them. I don't see anything wrong with that. I could never get rid of my dogs, or ferrets, by giving them away though. Like me, when they get too old they just retire here and enjoy a few quality years. Hello Leigh, been awhile since I have been here. Culling the herd from my experience is sometimes difficult. Growing up my stepmom kept our little 2 1/2 acre farm rollin by cullin what did not fit. That was harsh at times for me the milker for 9 yrs. Here on this farm we have to cull to keep the balance. I have one doe right at this moment and her buck pal. I have made a difficult decision to let her go after her kids are weaned. She is a screamer! I knew that when we got her but it is upsetting to the noise balance we have here at times. I waffle sometimes until she starts that screaming again...upsets me when she does that. I have three more does coming of different breeds probably will keep them until they kid then work on getting back to my goal of meat goats. I would have milk maybe later and would have to have a battery powered milker to do the job. My hands have had surgery so no milking for me! This is very thought provoking as I consider the cost of feed and the reward given back by my barnyard creatures. Thank you for posting! Barb, the point is that you have a plan and goals to accomplishing that plan. You've also made room for flexibility. I think that's key to success. Too often we start without a clear direction and try to make it up as we go along. Difficult! Bunny definitely has a Kinder look. Which parent is which breed doesn't seem to make a difference. I'm looking forward to breeding her to California when she's big enough. He comes from fantastic milking lines and her kids would be great for someone who wanted Kinders with out the expense of purchasing registered animals. Harry, good grief. We slaughter and butcher our own but always in "private"! Our general culture isn't ready for front porch processing! I love that there are folks who are willing to take retired animals and give them a good life. It helps folks like me who have limited acreage for pasture. Such animals can provide great companionship and entertainment, also manure for the garden! M.E., good to hear from you! I hear you about screamers! It was why we couldn't sell Caleb fast enough; he had a bonafide Tarzan yell! It does take somewhat tough skin to eat the animals one raises. Surprise was the last of our original homestead livestock crew, and both Dan and I agree that there is some emotional freedom now. We love our critters but the goats are goats and the chickens are chickens. Experience helps. Miss Bee, it always seems to be a struggle. One thing I keep in mind is that I'm not the only person in the world who can provide a good home for my animals. Surprise and Lily went to more acreage and larger pastures and likely will be happier for it. Always a constant battle in getting rid of the excess around here. Between my Wife and my Mother they would like to keep every animal on earth right here forever. I don't mind the occasional whether or old ewe hanging around in retirement but the horses drive me bonkers. Of course the only reason they are able to stay is we have not reached the maximum capacity of hay yet. We still get enough to feed em all only rarely running short and the grain bill isn't so large that they can't support the excess. Let one of those factors change however and it will be a different matter. I was actually wondering when the girls would be leaving. Glad that you were able to find them a great home. I keep pondering adding to our household, but having to weigh the pros of having a lap warmer (cat) to the cons of finding someone to take care of now two animals when we go on vacation. I know totally not the same issue, but is the expense worth it? Looking forward to kidding season. Leigh, on Disqus try commenting as a guest. That's how I comment on the ones I follow who have that type of comment system. PP, I tend to let ours stay as long as we can feed them, but that isn't always a wise thing to do! Renee, I think the same principles apply to different households. We each have to set our own parameters, and they aren't the same for us all. Hope to have new kids to show you soon! the Goodwife, that's actually a good way to evaluate, i.e with and without. A good dog is priceless, but like all animals, they can also tip the balance. Judy, Rosalyn's Discus doesn't have a guest option. That was the first thing I looked for and wondered if they did away with it. Maybe it's an individual set-up thing. Even though it's hard to sale off your animals, it makes for a good balance in the long run. What you're doing is a normal cycle for survival. Bunny will adapt, just give her time. It sounds like it was a win win situation for you and the goats. They went together to a place that wants them....that is much more thought or consideration than some people would have given it. So I think you did a grand job all the way around! I completely agree with your decision. Everybody has to pull their weight so to speak. That is a good idea to offer a discount if someone takes both. My friend was able to milk one of her Nigerian Dwarf does for almost 18 months. I would like to schedule breeding/kidding so that someone is always in milk. Not sure if that will happen since Halle is very difficult to get bred. Leigh--I now remember your post about poor old Gruffy, sorry! I think I actually commented on it. My mommy brain is terrible these days. I have been impressed with what I'm hearing about kinders and milk production, and I appreciate your experience with two of the three breeds. I wondered if with two dairy lines, mini nubians may give more milk but it sounds like the kinders are great even with their meatier qualities. Unfortunately all three breeds are hard to find. There are lots of NDs in Ontario and British Columbia, but I live in PEI (east coast) and there are only a few here, but they're picking up. Kinders on the other hand, not at all. I do have a friend with nubians and pygmies though, but I am hoping to get goats that have tested negative for CAE, CL and Johnes... maybe that's asking for too much in our neck of the woods. Her goats are sweet, just haven't been tested. Also, you're right about Amazon--got a shipping notification today so I'm hoping I'll have it next week! I'm excited! And thank you for visiting my new blog. I appreciate it! Sandy, thanks. As you say, it's normal for survival and I try to keep that in mind. Sarah, I think so and I'm glad for such a good home for my girls. Karen, that's really excellent for an ND. I'm with you on always having at least one doe in milk. It's tough to be without once you get used to it. Rosalyn, I'm not familiar with the Mini Nubians so I'd be curious about them as well. Did you know you can do the blood draws and send them off yourself for testing? BioTracking has two affiliate Canadian labs which will run any number of tests including the diseases you mention. There are links to those labs at this web page. Their submission forms show everything you can order. It's a great resource!